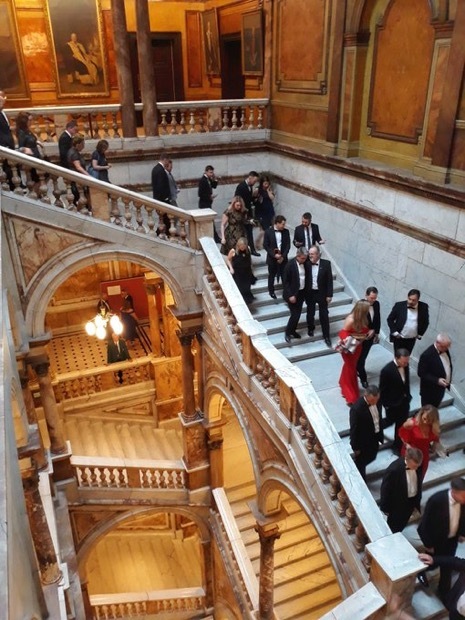 Causeway is a membership organisation, supported by both the Scottish and Irish Governments, which seeks to foster closer economic and business relationships between Scotland, the Republic of Ireland and Northern Ireland. The Awards is an annual celebration of the contribution of its membership to Irish and Scottish business life, and includes a number of different awards in relation innovation, sustainability and leadership, and will be attended by Keith Brown MSP, Cabinet Secretary for Economy, Jobs and Fair Work in the Scottish Government and Joe McHugh TD, Minister of State at the Department of Culture. David Clegg, a native of Northern Ireland, is the Political Editor of the Daily Record, Convener of the Scottish Parliamentary Journalists’ Association and was recently named Scottish Political Journalist of the Year. More information about the Awards night and tickets can be found here.